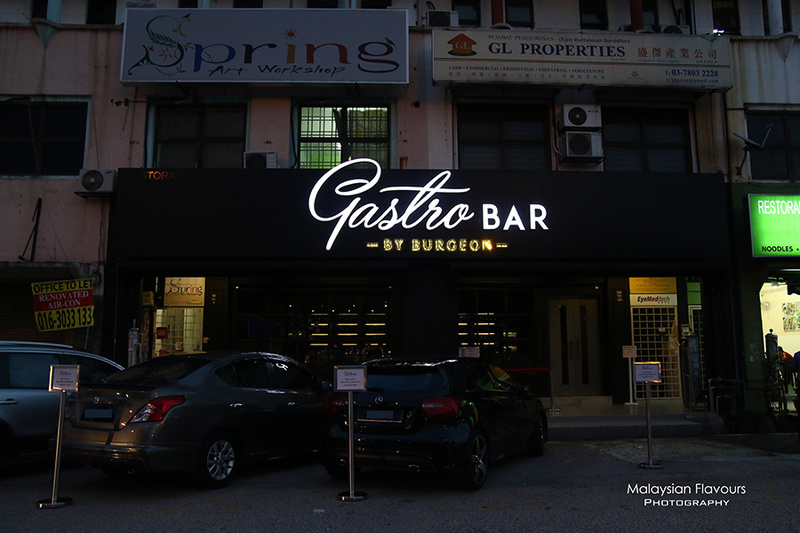 Gastro Bar by Burgeon in Aman Suria certainly appears outstanding in the neighbourhood of Taman Bukit Mayang with its mysterious dark colour shop front, also the only tapas-bars eatery along Jalan Bukit Mayang 1/2 brimming with Chinese seafood restaurants. Come for awesome cocktails, stay for delicious tapas, and return again for both. Gastro Bar by Burgeon will ensure the best of food and service consistency on every visit for memorable dining experience, paving the way to Michelin Star restaurant. 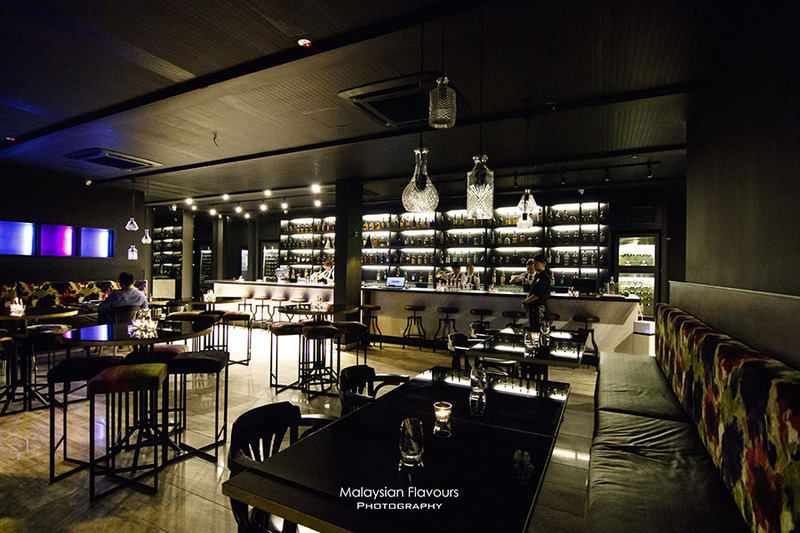 We had our dinner there two weeks ago, sampling almost all items available on Gastro Bar by Burgeon entree + dessert menu. 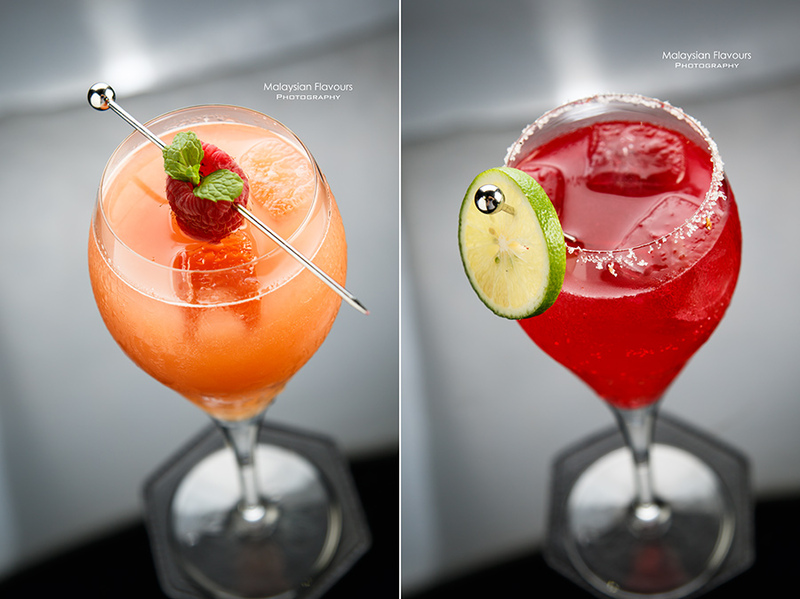 Drinks menu is more extensive, covering promising cocktails, mocktails, wines, whiskeys to please. Choplets to start. Minimal gaminess, grilled to slightly charred at the edges New Zealand lamb cut, laced with subtle flavours of tequila. Juicy chew but not rubbery, balanced with a bit of fat layer, further heaped with creamy, medium spicy Jalapeno hot sauce. Served over a bed of crispy spring roll strips. 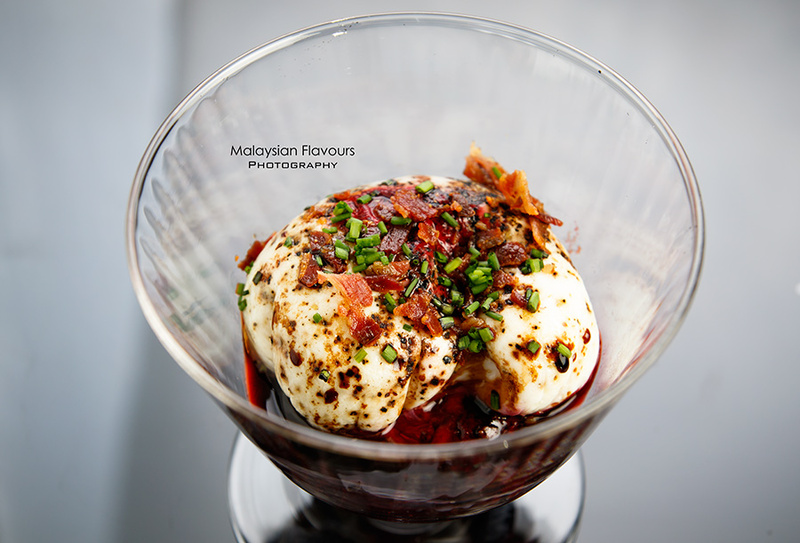 The Egg scores for its multiple flavours from several ingredients, layering poached egg with truffle oil, beetroot and orange reduction, crispy pancetta, balsamic reduction in a glass. 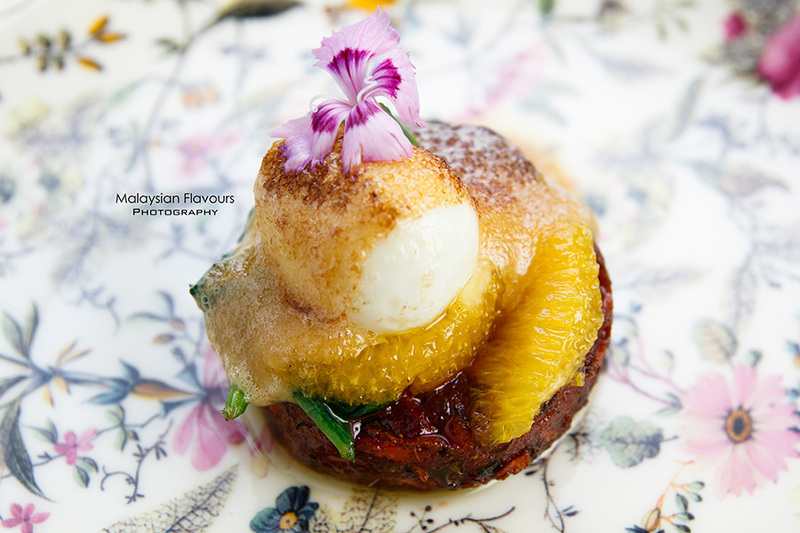 While it is common to get poached egg garnished with pancetta, an additional beetroot & orange reduction in Gastro Bar by Burgeon The Egg adds a touch of tangy-sweet uniqueness. Not to forget, the truffle oil. Finely chopped Black Angus tenderloin, formed into ball shape and placed over herb baguette with sundried tomato. Confit yolk of quail egg served along. Highly recommended for diners who appreciate the charms of this classic raw beef dish. 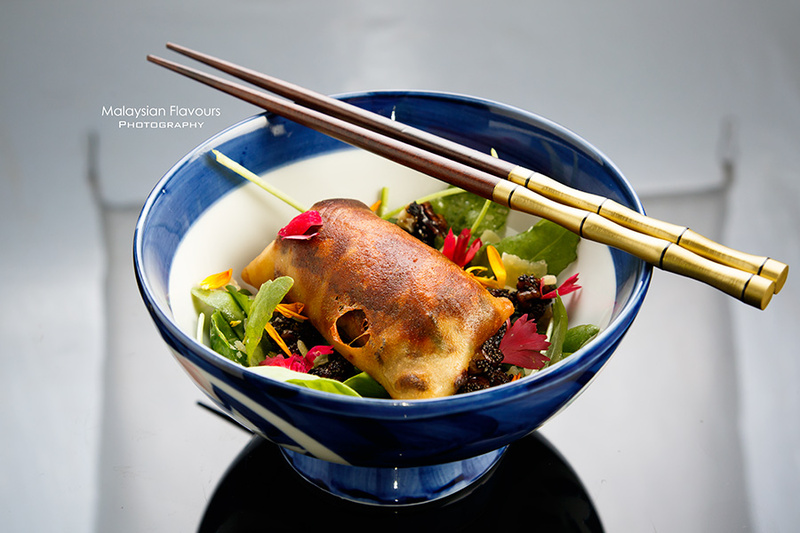 Presentation that lives up to its name, tracing down Oriental feelings from the beautiful bowl to chopsticks and most importantly, the appealing, sizeable spring roll generously stuffed with grill prawn and century eggs. 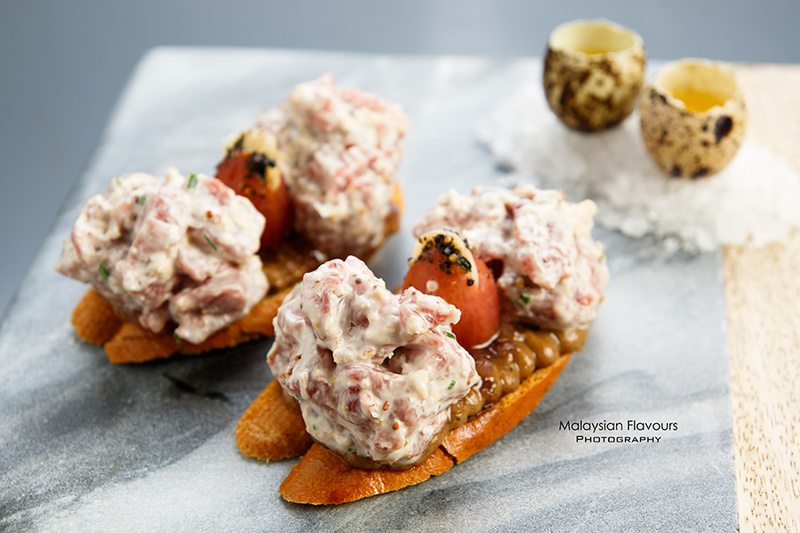 Crispiness, bounciness, flavours of century eggs all in one go. Satisfying. 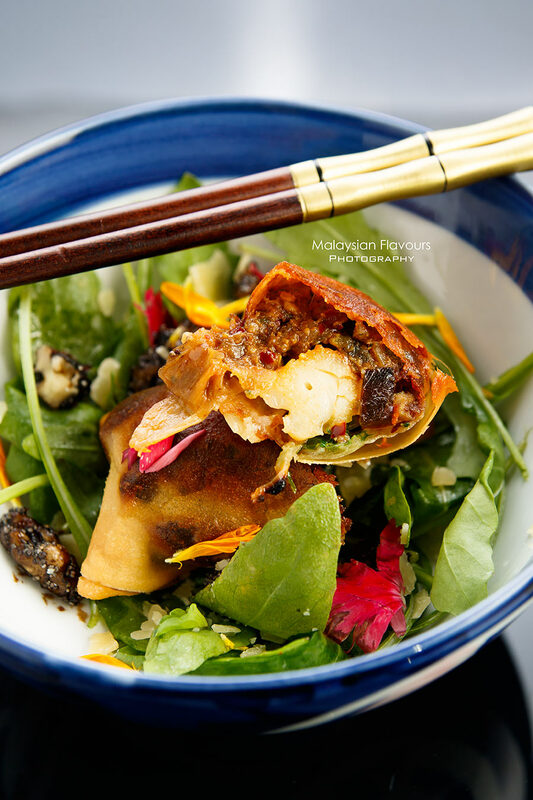 Western fusion comes through with a bed of colourful salad french rockets, ginger and poppy seeds caramelized walnut beneath it. Grilled string ray, truffled black pepper & capper sauce, sweet coconut flakes. 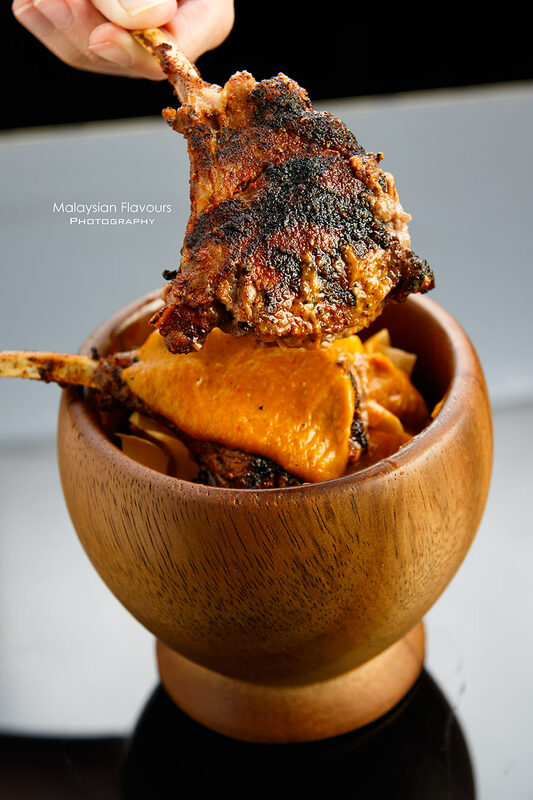 An improved, more premium version of one of our Malaysians favourite street food – Ikan Bakar. 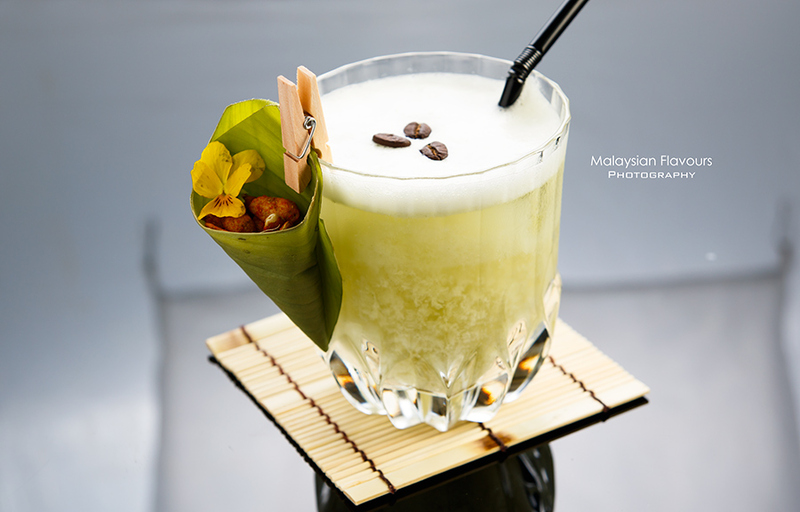 Thick cut of grilled string ray, thickly covered with sweet coconut flakes. 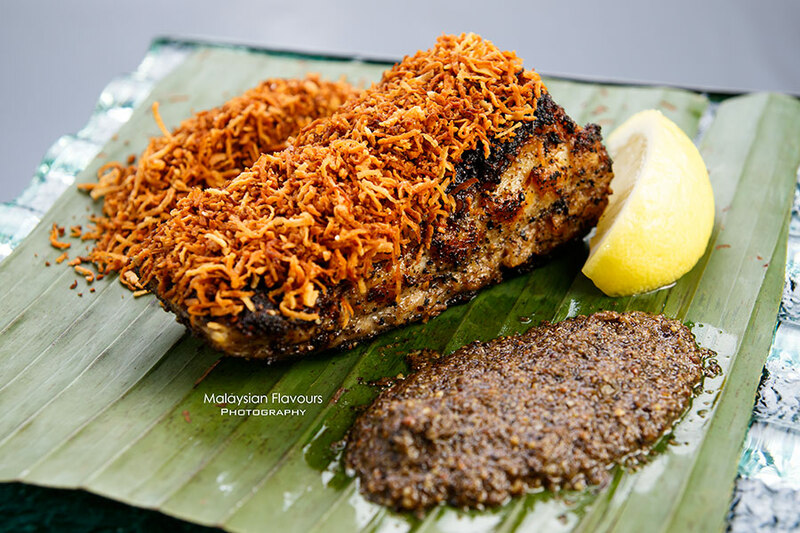 We really like the idea of putting this crunchy coconut flakes capped with mild sweetness, as it enhances the entire flavours of the grilled fish, getting the savoury-sweet sensation to the right stage. Good eating on its own, but also great to dip with truffle black pepper & capper sauce for deep peppery, earthy truflle taste. Like a garden, with seared duck foie gras as the clear winner. Buttery rich, melt-in-mouth, paper thin crispiness from grill at the surface. 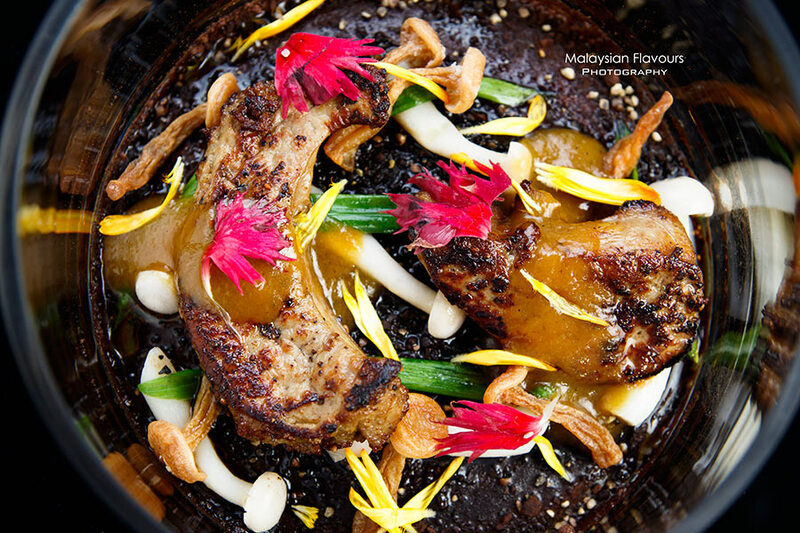 Served over armagnac and peach sauce, edible flowers, mushroom and chocolate soil to represent a mini garden. How does mushroom cake taste like. 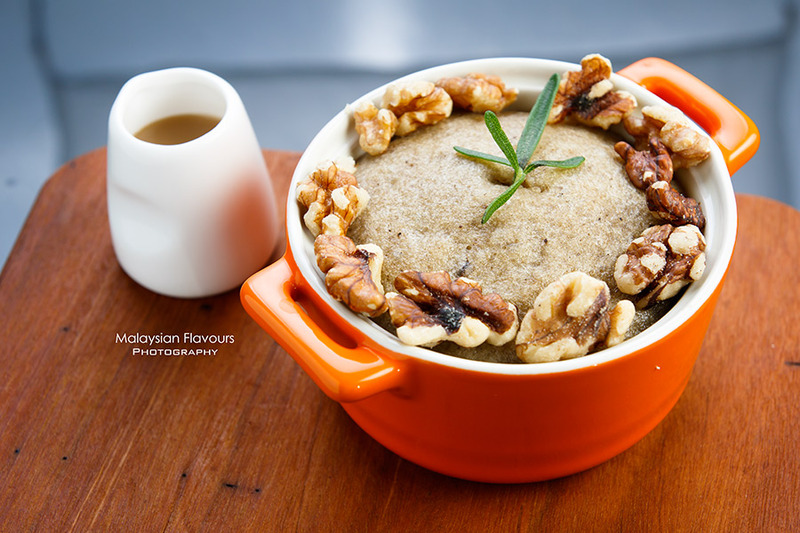 Gastro bar by Burgeon’s version is like a soft sponge cake, blended with shitake mushroom and rosemary gel aroma. You don’t get physical bites of chopped mushroom within the cake though. Drizzle with coconut white chocolate sauce, it works! There’s only two dessert in Gastro Bar by Burgeon currently. Mushroom Cake may drives more curiousity among diners to order, but Pear & Chardonnay is not shadowerd too. 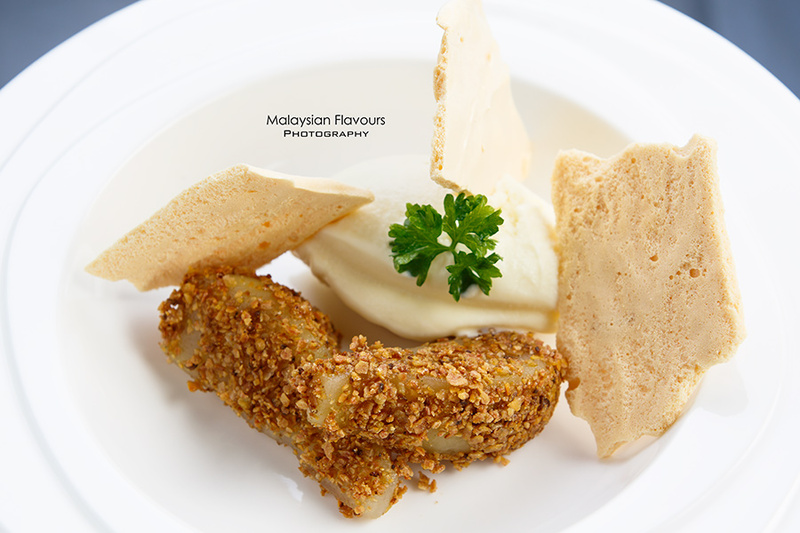 Equally divine poached pear infused with Chardonnay, sided with banana, parsley crumbs and a scoop of Apple-Chardonnay ice cream made in house. Airy sweet meringue for more textures. Hi. Sorry that we are not the restaurant owner. Pls contact or FB them directly for your request. Thx.